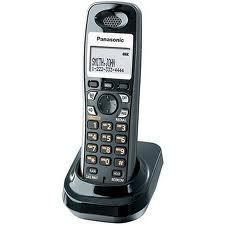 We got a set of 4 Panasonic DECT-6 wireless phones (Models KX-TGA931T) a few years ago and they worked beautifully at first. But after a while, the phones began to exhibit an annoying behavior when we attempted to answer a ringing phone where it would display a message that it lost its connection to the base after a single ring, making it impossible to pick up the call. The other phones continued to ring normally. Sometimes repeatedly pressing on the ‘Talk’ key would get it to answer the call, but it became are real annoyance because it always seemed to happen to the phone that was the closest to answer. Upon searching the Internet, I found many people complaining about the same issue. I read through a number of forums and found that although it was a rather common problem, there was not a consistent sure-fire solution. One solution suggested unplugging the power to the base unit temporarily, but that didn’t fix the issue, at least in my case. Even the Panasonic website was of no help despite having numerous complaints of the problem in its reviews. I had tried replacing the batteries in one of the phones, but even the one with fresh batteries would still misbehave. However, I had used a cheap set of NiMH batteries from Harbor Freight that were a few years old, and so maybe I exchanged one bad set of batteries for another. The amount of talk time available when the phone worked didn’t seem to indicate the batteries were worn out. Sometimes one of the handsets would not charge fully, and it would be warm to the touch when taken out of the cradle. But then later, it appeared to charge to full capacity according to the battery icon. Eventually, I grew so tired of the problem that I ordered fresh batteries for all 4 phones. I got them from Batteries America, by ordering the high capacity Sanyo AAA NiMH batteries (P/N HR-4U-1000). I’ve had good luck dealing with Batteries America, especially for things like rechargeable batteries for older ham radio and aviation hand held transceivers. They also carry custom rechargeable batteries for equipment that is no longer available even from the original manufacturer of the product. I am happy to report that by changing all of the batteries, the problem has gone away. Better yet, the new batteries have 50% more capacity than the original Panasonic 650 mah batteries and will last many hours between charges. These phones have this difficulty when one or both of the batteries wear out, which all rechargeable batteries tend to do after a year or two of use. It’s not unusual for a new rechargeable battery to be weak if it had been on the shelf too long prior to using it so make sure to purchase your batteries from a reliable source only when you need them. The charging circuitry in the phone is not effective at notifying the user of weak batteries. If you experience this issue, I’d recommend getting a new set of high quality NiMH batteries for all of the phones and keeping track of when you replace them, because when they wear out, the phone will not give you any clue about what’s wrong other than this inexplicable problem where its connection to the base becomes flaky along with contradictory evidence that would seem to indicate that the batteries are not the issue. [UPDATE: 2013-01-20] I just wanted to follow up to say that after nearly two years of using the Sanyo batteries, we still have not experienced a single ‘cannot find base’ issue. So I’m even more confident that this issue was battery-related and compounded by the phone’s battery charge status to properly identify the problem. I had the same problem but determined that the battery was wiggling and losing the connection. I cut a small piece off a business card, doubled it over and wedged it between the phone and the battery (the end of the battery that is on the opposite side from the metal contact points). I also put a small bunch of paper towel on top of the battery between the foam and the flat top side of the battery. Not an elegant solution but it was resolved the frustrating many years long problem. I tried reregistering the phone ala Panasonics website instructions. No help. After reading your suggestion, I opened the handset battery compartment. That’s all. Then I closed it and, voila,the phone is working. Thanks.